The core building block of Pup's user interface is React components. In Pup, there are several components pre-defined for you that can either be used as-is, or modified to fit the particular needs of your product. 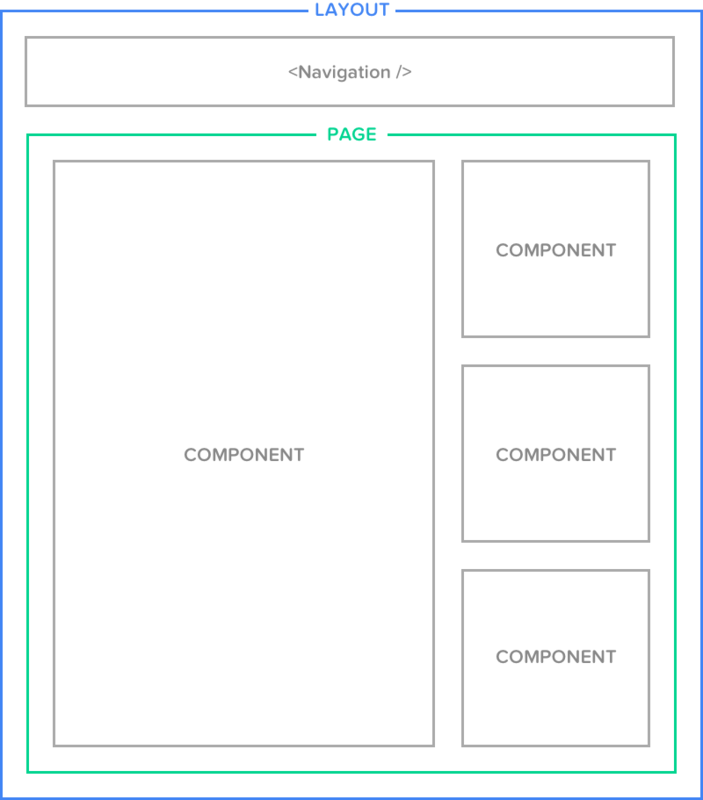 /ui/layouts - Components that are responsible for building layouts that combine a set of static elements (e.g., the application's navigation bar) with dynamic elements. In Pup, the <App /> component serves as the main layout component and is used to render every page in the application. /ui/pages - Components that are compositions of other components, rendered within the dynamic portion of a layout component and corresponding to a particular route in the application (e.g., the /login route renders the <Login /> page component). Some page components are wrapped with Apollo component enhancers to provide them with data via GraphQL. /ui/components - Standalone components that can be used independently or composed together with other components in a page. While components are split into the three sub-directories outlined above within the /ui directory at the root of the project, all components themselves follow a similar directory structure. index.e2e.js - The end-to-end tests for the component, defined using TestCafe. index.js - The actual component definition. styles.js - The CSS styles for the component, defined using styled-components. This is the recommended pattern for defining components in Pup. Here, our goal is to isolate all of the code related to a single component in its own folder. You're encouraged to place any files specific to a component in this directory (e.g., if you'd like to add unit tests to your components, you could add a file like index.test.js). We're effectively saying "load the index.js file located at /ui/pages/Login/index.js." In other words, including the index.js at the end is optional.